Hello friends, today we are going to show you how to create a Cool Tiki art using Adobe Illustrator. Tiki art or tiki carvings are mostly used in Hawaii/Polynisian islands or in African countries as it symbolizes their culture and beliefs and it’s such a vivid art is there. 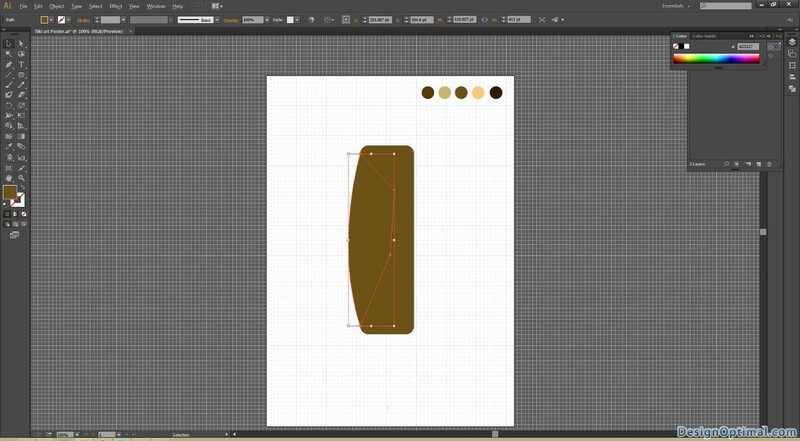 Most of the tiki art or carvings are made in behalf of their ancestors or their gods as you can always check the internet to find real and vector tiki arts inspirations. Today we decided to give you the awesomeness of creating your own tiki art which is a fun to do. 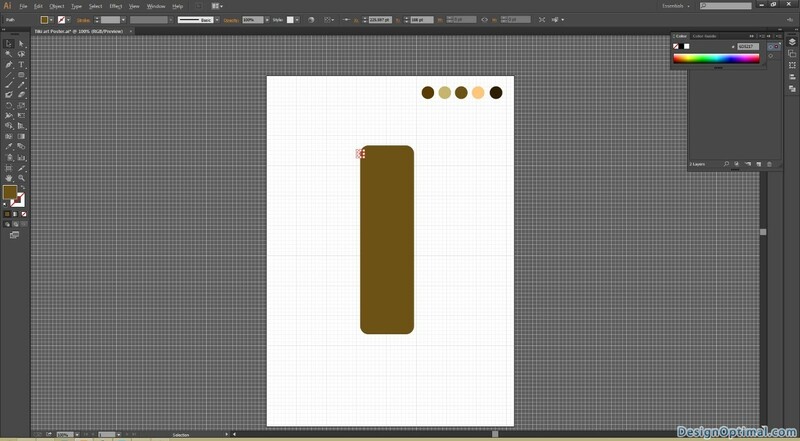 Open Adobe Illustrator and create a new document of A4 size and make it a Portrait mode. Save it as Vector Tiki Art.ai. 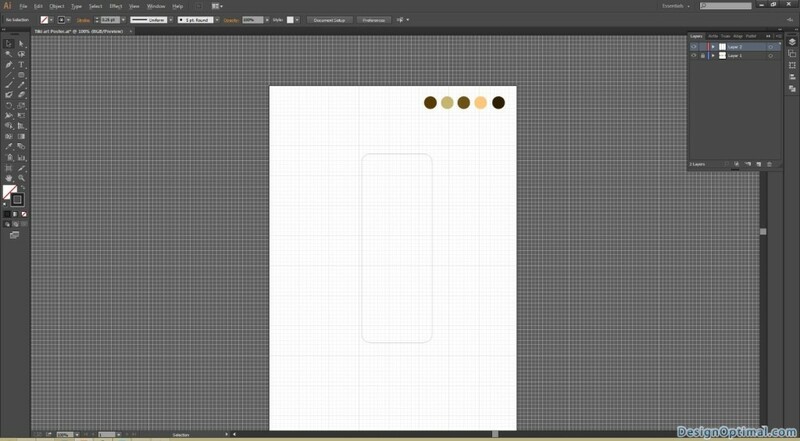 Now as the first step of drawing, start drawing with shapes. Select rounded rectangle tool from the tools pallet. 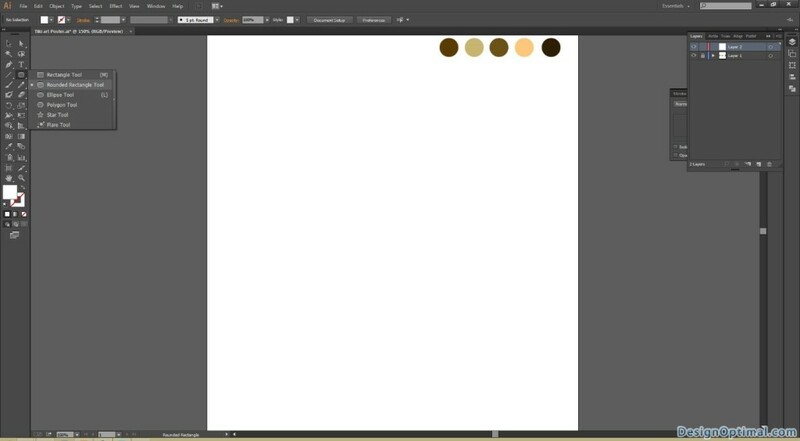 Use the below tones as the color pallet. For each part that you draw with pen tool, add a new layer. After drawing the Rounded rectangle tool, select the direct selection tool and change the space between the top two curves in each sides. Actually what we are going to do it make the two curves areas together. Now do the same with the bottom curves and make the shape like an oval. Fill the shape with #6D5217. 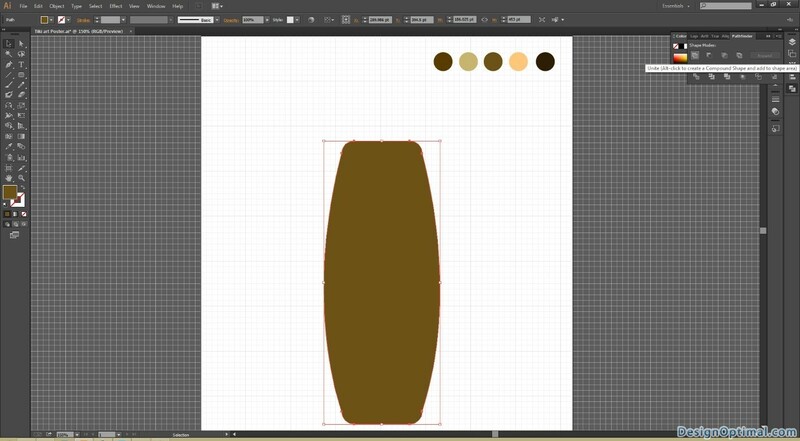 Now after that, to make the oval shape more obvious, draw the shape with pen tool as shown below. Next flip the shape and make the whole object unite using pathfinder tools.